With over 1.5 million visitors a year, the Space Needle is the second most visited public space in Seattle (second only to the Seattle Central Library). 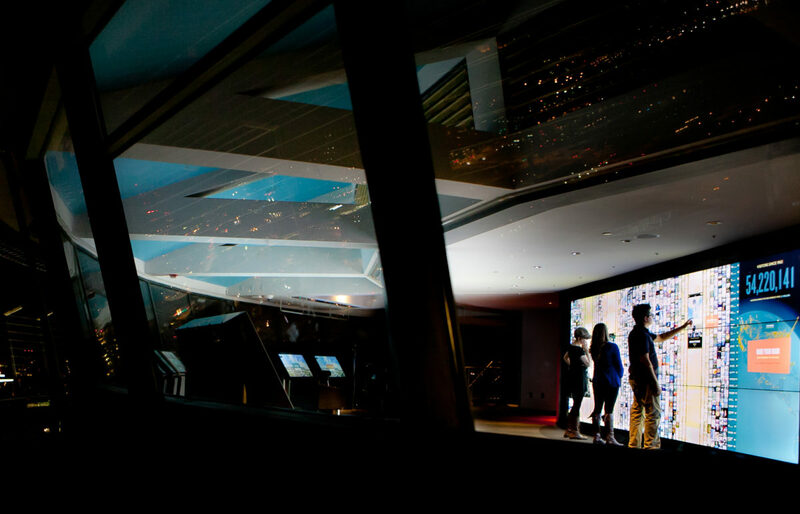 As part of a large set of digital enhancements being added to the Space Needle's Observation Deck, Belle & Wissell created the centerpiece experience—a 20-foot wide interactive wall called SkyPad. 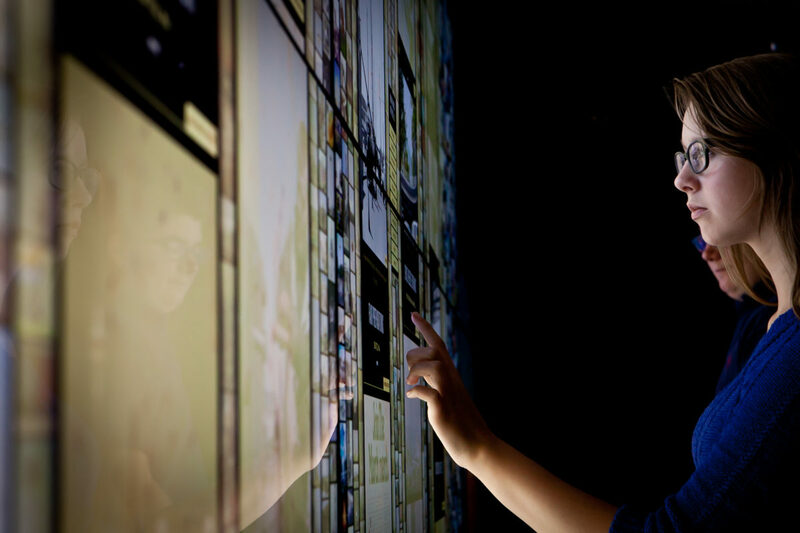 I led development of a giant photo exploration interactive for SkyPad where visitors explore more than 50 years of memories—memorabilia, early tower design and construction, sunsets, celebrity visits, etc. 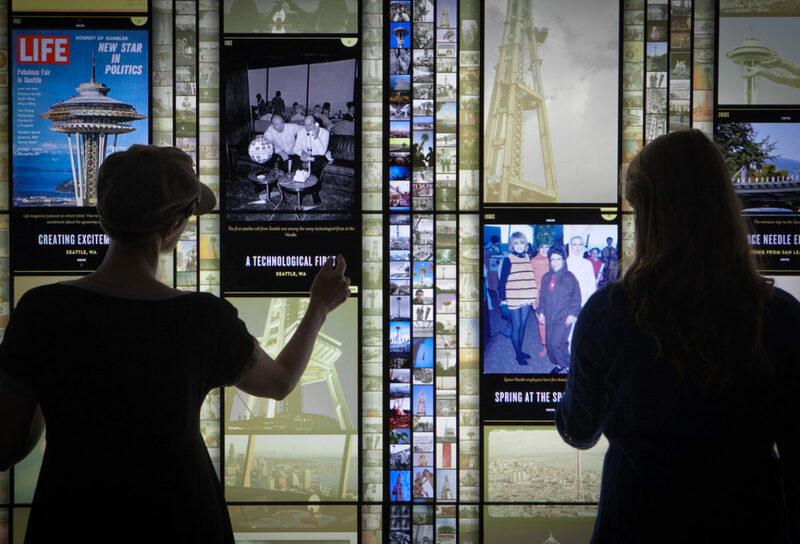 Guests can also contribute their own memories to the wall by uploading photos through the Space Needle's website. 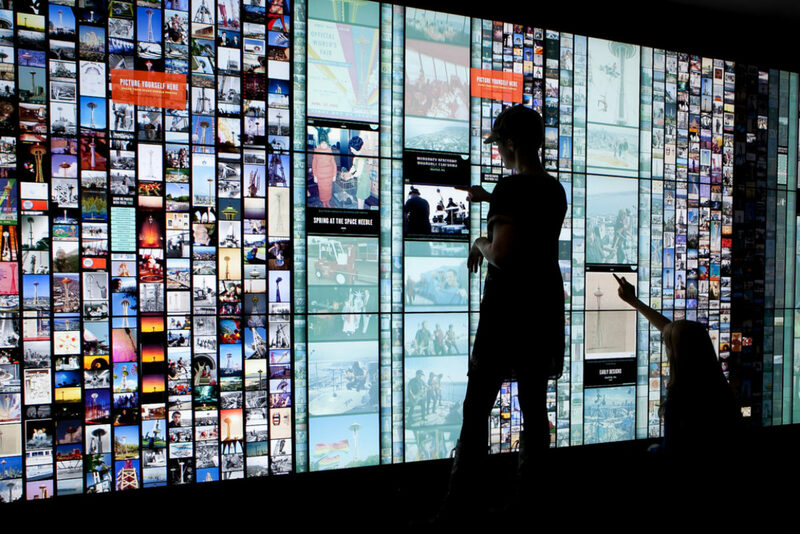 The interactive displays thousands of images simultaneously and allows many visitors to interact at the same time. I used the GPU-powered Starling framework to create an interface that animates smoothly and is responsive to touch.